Increase your visitor stick rates with this 10 part bounce drop blueprint video tutorial series and learn the 3 things that spike your bounce rate. 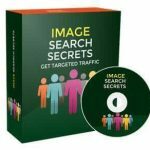 In this step-by-step video course you will get to watch over my shoulder as I show you three things that can spike your bounce rate, which has a direct impact on your sales and conversions. Of course while there’s no definitive answer from Google on whether or not they use this as a factor for ranking, the fact is that they expand in detail on how to improve it and even include a video lecture on it. This gives us our answer as to how important this is to them. The first is – How fast your site loads. Secondly, the content it’self is key and often times how much quality content there is. If you go to a site and it has good quality content, you’re more likely to stay vs. a site that has gibberish and is hard to understand, right? It’s the same concept. By following these rules and implementing these concepts, you will then decrease your bounce rates and make your visitors enjoy staying on your site, so much so that they come back again – and that is really what you want in the end. Speeding up WordPress is quite different to a basic HTML page. This requires more stuff, but it’s easily done using a specific plugin. While there are many out there, we’ll focus on one specific plugin that we’ve found works really well. Whether your site is on a shared host or virtual private server, we’ve got you covered. Don’t worry – we’ve done the testing and can show you how to find the best settings, because it is different from site to site and there is no ‘one size fit’s all’ solution. The content it’self can often create an atmosphere for the visitor – either good or bad. Bad quality content unrelated to what they’re looking for creates frustration, while good quality content related to what they’re searching can create trust. In the end, you want the visitor’s trust, because ultimately that is what gains sales and conversions. So in this video, we’ll discuss the different types of content, how long they should be, and how you can use them to create a great experience. 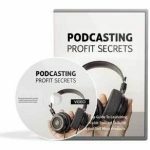 Grab this bounce drop blueprint video course and learn how to fight bounce rates and increase your stick rates which ultimately impact your sales conversions, relationships, and more! 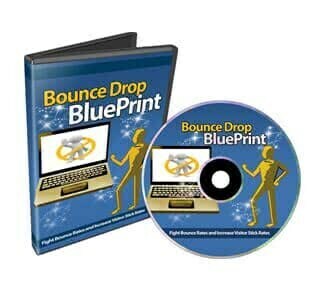 You can download this 10 part, step by step bounce drop blueprint video course within seconds of your purchase. It is delivered electronically, so there’s no waiting!